Steinar Skipsness created a fake office so he could understand how to succeed in job interviews. He filmed the whole thing, and the funny results led to 20 great job interview tips that are true anywhere in the world. 1) Where did you get the idea for the project? The idea sparked from seeing a friend of mind go on a few unsuccessful interviews. I consider him a really outgoing sharp guy, he was getting interviews, which is half the battle, but for whatever reason he wasn’t getting hired. It made me curious to what makes certain candidates stand out. I thought, if I could experience the interview from the other side of table, I’d have the ultimate perspective to what makes a candidate an attractive hire. I could then take that knowledge and cater my behavior in any future job interview to give myself the best chance of getting hired. 2) How much did it all cost? It cost roughly $2000 to execute everything, (renting office space by the hour, having a lawyer write up a waiver, the cameras, and other little things… like taking my friend out to a few dinners as compensation for being involved) well worth the money in my book. The knowledge I learned from this experience and the doors that have and I believe will continue to open, I’ll take with me for the rest of my life and I know it will pay me 100x more dividends then if I’d taken the money and bought a few share of company whoever… call it self investing. 3) What was the hardest part in executing such a project? It takes time… more then you think when you start out. Particularly since I had no experience with video editing, and granted I wasn’t making a feature film but it still took some time to get things figured out… but now I know how, and it will come in handy in the future. 4) What was the funniest moment? Overall, I’d have to say the “lack of responsibility guy” [above clip]. I honestly don’t think there’s much worse of a thing you can say in a job interview, then what you like best about your current job is the lack of responsibility. I even cut the footage short. He goes on to say people say it’s so much better being higher up in a company but they forget to realize that there is more responsibility up there. Are you serious? That statement just blow me away. 5) What did you learn about yourself by doing this project? You need to be flexible. What I mean by that is… when I started this out I envisioned it a bit differently but as you get deeper into it, and start peeling back the layers, certain things turn out the way you anticipated and other things don’t… and you need to be flexible to go in the direction that is going to make your piece of work the best. For example, my initial thought was to have the interviewer do something strange to get a reaction out of the interviewer. I thought that was what was going to make for the entertaining videos that I wanted to associate with this project…. it turned out what the actual interviewer said was strange/funnier, then I could have dream up saying. But before I went that route… there was one time when the interviewer in most of the videos is asking a girl some questions and as he’s asking a question, he brings out a flask, opens it, pours some in his coffee cup then puts the flask back in the drawer. I thought the reaction of the interviewee would be priceless… and it was.. but I didn’t upload it because I wanted all the videos to focus on things the interviewee said…. and of course it wasn’t real alcohol… just water. 6) Did the project help you find a job or freelancing clients as you were hoping? Yes, it opened some doors for sure. I’ve had people contact me that would have nevered responded to 1 email from me if I had sent them a 100. I’ve been doing some consulting and have a couple projects in the works. 7) What comes next for you? 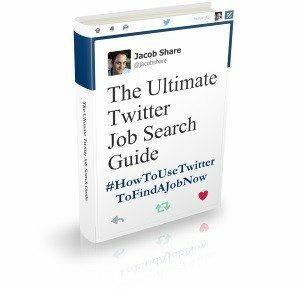 Subscribe to JobMob via RSS or email and follow me on Twitter to learn about the most inspiring job seekers in the world. Hi Jacob – Where you come up with all your creative ideas, I’ll never know. 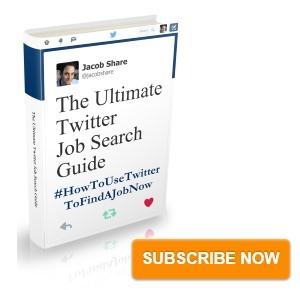 Thanks for finding a fun way to get advice across to job seekers in a fun and interesting way! Tim- thanks. A lot of my creativity comes from having my fingers in many pots. Now I focus on job search but I love design and comedy and my background is in programming. I’ve already forgotten how I discovered Steinar’s site but once I saw it, I knew that I had to tell everyone about it. Instant classic. Great examples of what Not to do in an interview… thanks! I’ll pass it along to my friends and people in transition. Where can I see all of your interviews? JP- to see all the funny interview clips like the one in the article, click through to Steinar’s website. This approach seems fairly unethical. Did the interview end with Ashton Kutcher popping out from behind the door to let the interviewees know they’d been punk’d, that there was no job, and that their time had been wasted?